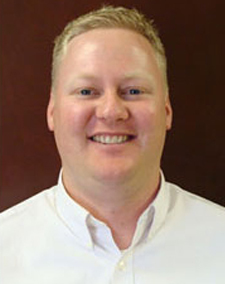 Mr. Peltzer has over fifteen years of experience in the field of Civil Engineering. He began his career in Grand Rapids, Michigan, performing geotechnical subsurface explorations for the design of multi-home subdivisions, custom homes, utility lines, roadways, bridge foundations, guyed television and cellular communication towers, power plant improvements, and commercial and retail site improvements. While in graduate school, Mr. Peltzer worked with the South Dakota Department of Transportation in Rapid City, South Dakota, reviewing plans and performing engineering inspections during construction of mechanically stabilized earth walls, bridge foundations, abutments, and decks, as well as drainage culverts and roadway subgrade. Mass action lawsuits involving multiple residential homes in mass graded subdivisions and custom homes and custom home subdivisions. Customer service and lawsuits involving commercial and retail shopping centers and below-grade parking structures. Underground utility line and roadway subgrade failures. Surety evaluations for public works project such as pipelines and roadway improvements. Forensic geotechnical evaluations for numerous residential and commercial structures throughout Arizona, including Yuma, Bullhead City, Fort Mohave, Lake Havasu, Kingman, Show Low, Prescott Valley, Flagstaff, Benson, Holbrook, Phoenix-Metro, and Tucson. Managed the geotechnical evaluation for the respondents in one of the largest (in terms of dollar value) residential construction defect cases filed in Arizona. Design and oversight of geotechnical repairs for commercial and residential structures including injection grouting, helical pile, push pier, and micro-pile installation, and structural and non-structural cut-off walls, French drainage systems, and surface drainage improvements. Review and analysis of helical pile design for the collector arrays of a 280 megawatt solar plant outside of Gila Bend. Numerous moisture intrusion evaluations throughout Arizona in order to determine source(s) of moisture contributing to microbial growth, soil movement, efflorescence, and perched groundwater conditions. Oversight, coordination, and logging of over 400 soil borings to characterize and evaluate the subsurface conditions of a proposed borrow pit to be reclaimed as wetlands in conjunction with state roadway development in eastern Michigan.